The leaves are changing, the days are growing shorter, and Summer is finally releasing its humid grasp on Greenville. With such beautiful weather with which we are often gifted during this season, people and pets become more active. There are a few things you should know about the change of season. Snakes are preparing for a season too cold for their cold-blooded bodies. As ready for hibernation, they are active and in need of food. Most snakes will leave you alone so long as you leave them alone, but try telling your curious pup to stray from that interesting, new creature. To keep your pet safe, ensure you are aware of your surroundings when hiking, going for a walk and playing outdoors. Tip: Teaching your dog to “leave it” may help prevent him from letting his curiosity get the better of him. As the season changes, we all become more susceptible to the cold bug. If your pet starts sneezing or coughing, it may be worth ensuring it is nothing more than seasonal allergies. Tip: A bit of rice and chicken can go very far for a puppy suffering from a cold. If you have a very active dog or cat, you may want to increase their food intake (by no more than 10%). The increase in activity mixed with the colder weather may require a bit more food. Many pets suffer from obesity so consider how much you have increased your pet’s activity before increasing his food intake. If you believe you have increased your pet’s activity and aren’t comfortable increase his food portions, a bit of mashed pumpkin or carrots after activity can help restore him after exerting himself without risking the weight gain. 99% of mushrooms are not toxic or low in toxicity, 1% are highly toxic. Sadly, they look very similar. Unless you know about the mushrooms that pop up in your yard and our parks, it is best to ensure your pet does not ingest any of the fungi. Autumn is a wonderful, beautiful time of the year. 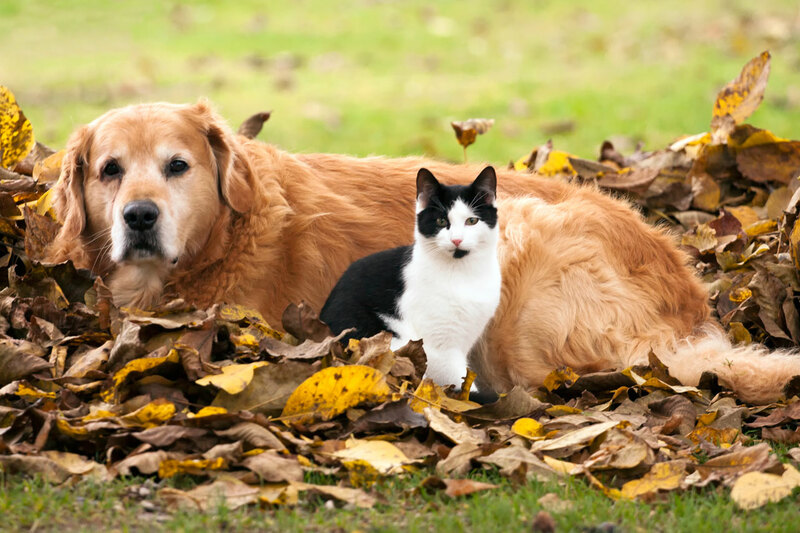 By keeping these things in mind, you can enjoy a healthy, happy season with your furry family member.